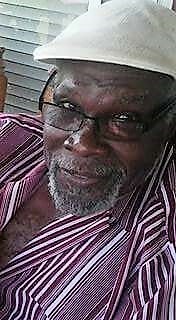 Mr. Willie James Miller was born on January 27, 1951 to the late Ruby Mae Miller-Johnson and the late Albert Johnson. His educational journey began in Horry County. After the death of his parents, Willie moved to Florida where he completed his education. Willie was a jack of all trades. His last known job was a maintenance worker at a Holiday Inn in Florida. Along with his parents, he was preceded in death by three sister, Sandra Gene Brown, Linda Sue Miller, and Dorothy Vereen; two brothers; Author Lee Johnson, and William Michael Johnson. Willie was united in marriage to Gail Miller and to this union two children were born. Those left to cherish loving memories are: his wife, Gail Miller of Florida; his children Willie Eugene Miller of Orlando, Florida and Ruby Denise Miller of Pineville, Georgia; Two sisters, Reatha M. Summerson of the home, and Carolyn Deline Bellamy of Little River SC; Four Brothers, Albert (Joyce Ann) Johnson and Curtis Johnson both of Loris, SC, Wilbert and Michael Johnson both of Atlanta, GA; Thirteen grandchildren, seven great grandchildren; two special nieces: Sherri and Lakeinya Johnson of Holly Hill, SC; a devoted friend, Jerrmel Smoot of Holly Hill, SC; Four aunts, and one uncle; and a host of nieces, nephew, other relatives and friends who will miss him dearly. Family receiving mailed condolences at: 168 Catamount Road, Holly Hill, SC 29059.